A friend of mine, who has this beautiful yet undecorated foyer, recently inquired about a source for lighting that was a little different than the norm…I knew exactly what to tell her. Ever since I read about Matthew Studios in Lonny several months ago, I’ve had it bookmarked. 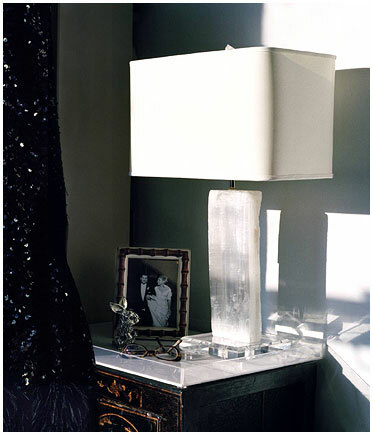 Some of the most dramatic and glamorous light fixtures I’ve ever seen! I hope my friend takes this advice…and then sends me a photo too! all of them are awesome but the first one especially is to die for! 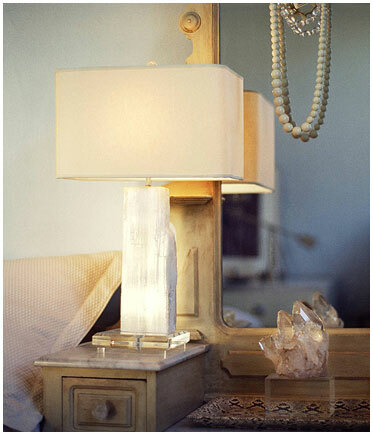 These are all beautiful lamps but I would have to say the first one is my favorite…stunning! Wow! These are new to me! I love them. Will check them out! Beautiful!! I'm with Deb – first is my favorite. The finials are such a fun jeweled touch. So fabulous – love the natural elements and the rough, yet elegant look of these! I just adore those finials. They are like a surprise for those that are really paying attention. Thanks, Sue! I have a little lamp that needs a finial — off to check out the site! I loveee the 1st one! Gorgeous lamps indeed! Love that purple sparkly one! Oh my goodness, these are amazing- hoping over quickly to see more! Wow I think I need these in my life! 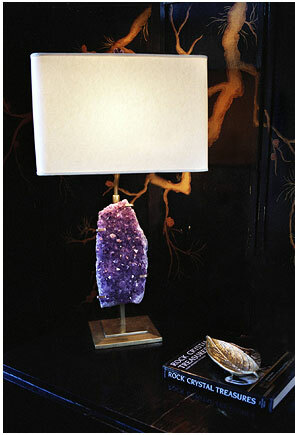 Each lamp is to die for, but I the purple crystal base is calling my name! Oh, my! These are beyond gorgeous!!! Sue so gorgeous! !These lamps and finials are so unique! Wow those are real works of art for sure…such statement pieces! Some of the finials are as pretty as jewels….great look, and always fun to discover something new. Oh! Loving the finials! I have a slight chip on one of mine and it is driving my OCD mind crazy! Thanks for sharing!!! Also, love your inspiration for Peppermint Bliss! AND now going to follow you on Twitter! So beautiful! I love the colors and the natural yet completely modern look. These are GORGEOUS. So elegant. GORGEOUS! 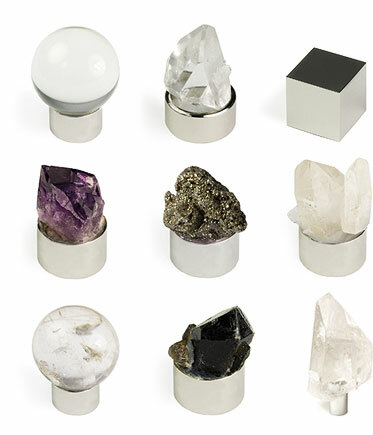 My husband absolutely loves rocks, so these are some lamps we could actually agree on (and even get him excited about, which is pretty tough)! Love! Amazing! 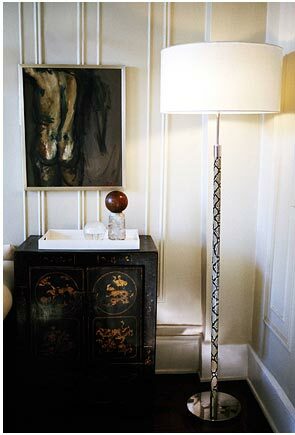 My foyer needs some lamps too….I'm off to peruse his site! You're a rock star source finder!!! I am so happy I found your lovely blog trough Peppermint Bliss, I am now following you! These lamps just rock my world… so unique! Great post! Stunning lamps and great finials! Thanks for posting a great resource!